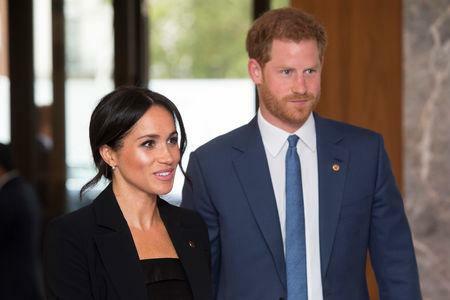 "Their Royal Highnesses have appreciated all of the support they have received from people around the world since their wedding in May and are delighted to be able to share this happy news with the public," the couple's Kensington Palace office said in a statement. "Hopefully we'll start a family in the near future," Harry had said in a TV interview when they announced their engagement in November last year. The child will not be a prince or a princess unless the queen authorises such a title before the birth. Instead, royal experts said if a boy, the child would officially be styled the Earl of Dumbarton - one of Harry's subsidiary titles - and Lady Windsor if a girl. "My warmest congratulations to the Duke and Duchess of Sussex on the happy news they are expecting a baby in the Spring," British Prime Minister Theresa May said on Twitter. "Wishing them all the best."